4. The second appearance of the Orange Mullet, it’s such an iconic image we had to have it in our top 10. 2. Ok Ok, we know we’ve used this style twice already but it’s a different colour and slightly longer! Also one of the most famous images! 1. The Man Who Fell to Earth, our all time favourite David Bowie hairstyle! Check out that colour! Hair colour reactions are rare and only occur within a small number of people however with studies and reports of allergic reactions to hair colour on the increase I thought you might like the risks explained and to know how best to avoid a hair colour reaction. Firstly what causes an allergic reaction? Your immune system protects you from bacteria and viruses and sometimes it mistakes a harmless substance for a threat and starts your body’s immune response. Unfortunately for hair colour, it seems the molecules that make up the colour seem to fit perfectly into your body’s receptors and can cause an allergic reaction. Allergic reactions can be very severe or even fatal so it’s important that we try to avoid them happening as much as we possibly can. How do we avoid an allergic reaction? The first thing we can do is an ALLERGY ALERT TEST this will tell you if you are allergic or have any sensitivity to the colouring products your stylist is going to use. An ALLERGY ALERT TEST is carried out in the salon 48hrs before your appointment, it takes less than 10 mins and is complimentary, your stylist will talk to you about your colour and what you are looking to achieve and together you can decide on the right colouring products and shades for your look. Your stylist will then mix a small amount of these colours and apply them in tiny dabs on the inside of your elbow. AND THAT’S IT! So long as you don’t experience a reaction in the 48hrs following your allergy alert test, you are good to colour your hair. The second thing we can do is choose colouring products which actively reduce the risk of developing an allergy such as Koleston Innosense, it uses a revolutionary new colour molecule called ME+ which has been awarded the FIRST EVER European Centre for Allergy Research Foundation SEAL ON PERMANENT COLOUR WITH UP TO 100 % GREY COVERAGE AND 3 LEVELS OF LIFT. Safe and effective, what more could you want from your hair colour?! So when is an ALLERGY ALERT TEST NEEDED? You will need to be allergy tested 48hrs before your first colour appointment and just once a year following that if your colour is saying the same. If you want to change your colour brand or the shades used you will need to be re-tested with the new colours, you will also need to be re-tested if you have had a tattoo since your last appointment or if it has been more than 6 months since you last had your hair coloured in the salon. If you are not sure if you need an ALLERGY ALERT TEST call the salon before your appointment and have a chat with your stylist they will tell you what you need to do, also if you are concerned for any reason it is completely fine to be allergy tested 48hrs before every colour appointment. 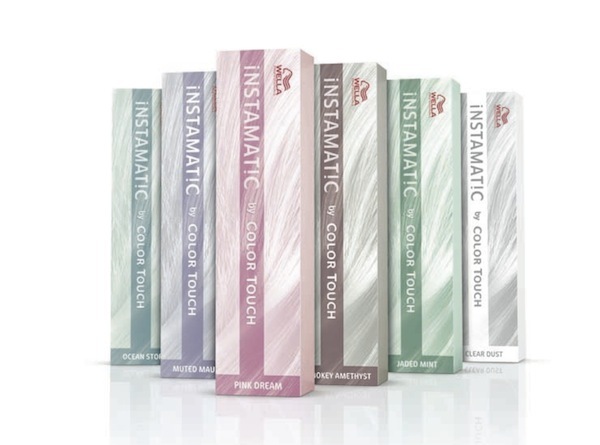 Wella Instamatics is a new collection of six diffused temporary pastel hair colours that are designed to give your style a fresh twist every time new inspiration strikes. One of the unique things about Instamatics is that it has been designed to fade beautifully after each wash so won’t awkwardly stain your hair once the initial colour has gone. There are six available shades; smokey amethyst, muted mauve, jaded mint, ocean storm, pink dream and clear dust. All colours have been designed with the latest trend for unusual temporary hair colour in mind and are perfect for those that like to regularly try something new and change up their hair colour. To try out this new range of hair colours, book an appointment with Square now! 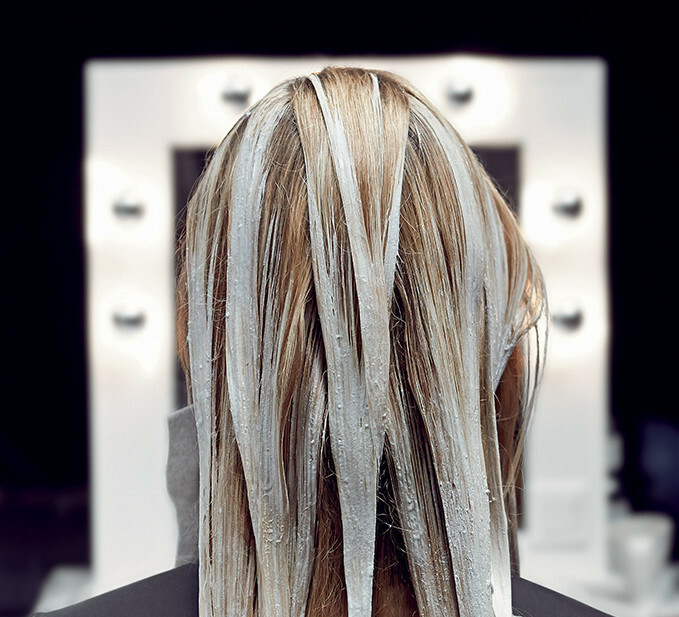 Freelights by Wella is the latest innovation is pre lighting techniques and can help you achieve the most subtle ombre look yet. No foil is required so a more natural blend of colours can be created for those that do not want the harsher effect of highlights. 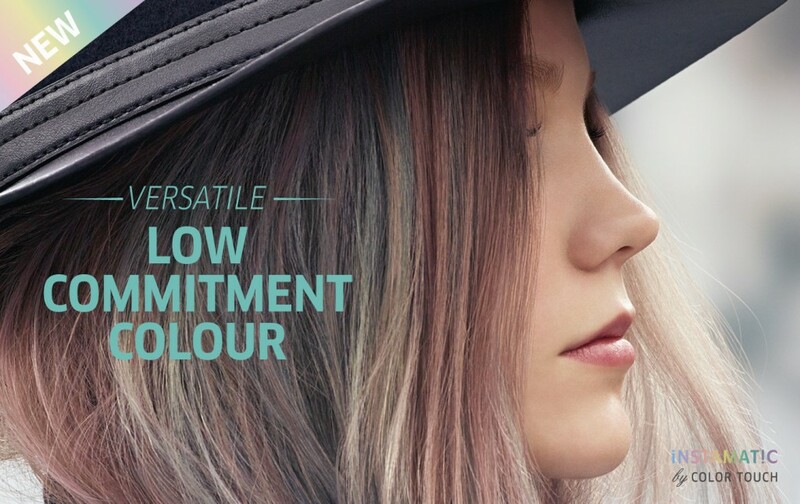 The flexible formula ensures easier spreading so colour precision is easier than ever. Up to seven levels of lift are available that are suitable for both natural and pre coloured hair, so this really is for anyone that wants a natural variation of colour in their hair. For anyone that wants to achieve sun kissed summer hair any time of year then there is no better product than Freelights. This product is now available at Square so be sure to book an appointment! Welcome to the shiny new website of Square. Here you can find out all about our services, products and prices, meet the team, and book your appointment. You can also contact us from here if you have any enquiries. Keep up to date with future blog posts by checking back here and liking us on Facebook, or following us on twitter using the links on this page. We look forward to seeing you soon!